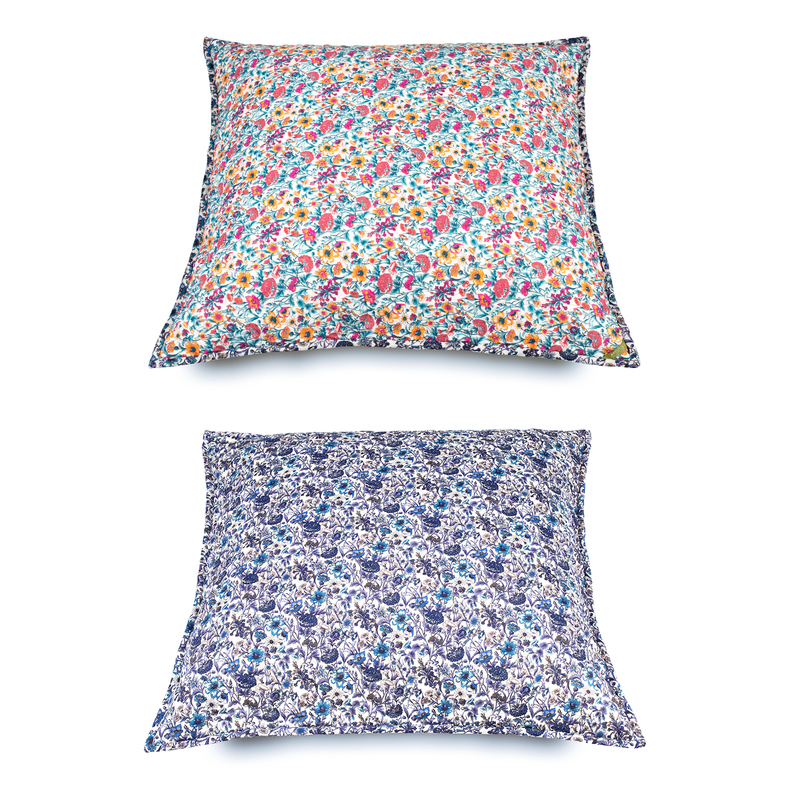 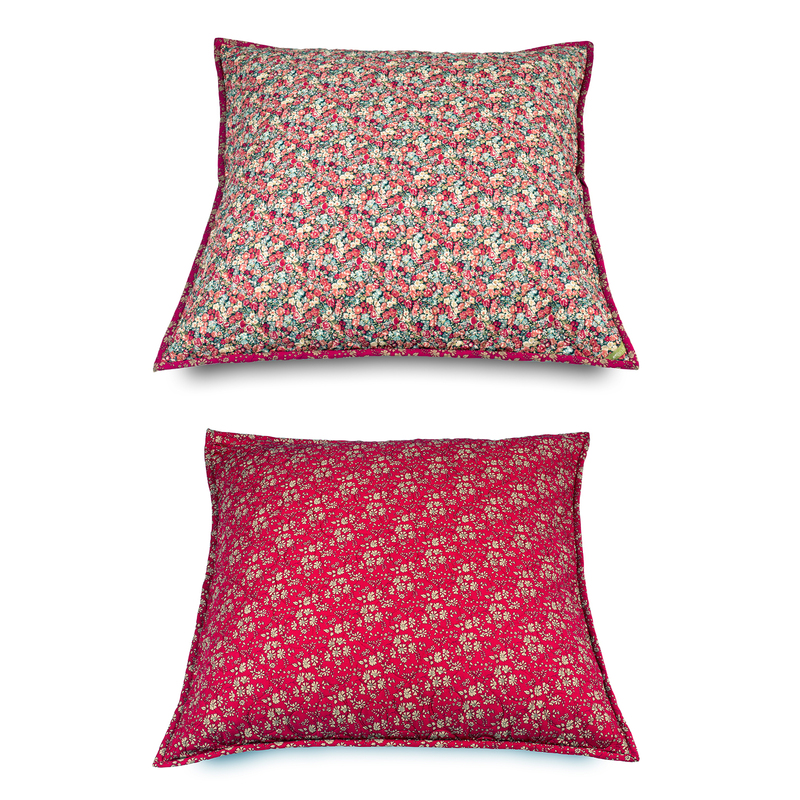 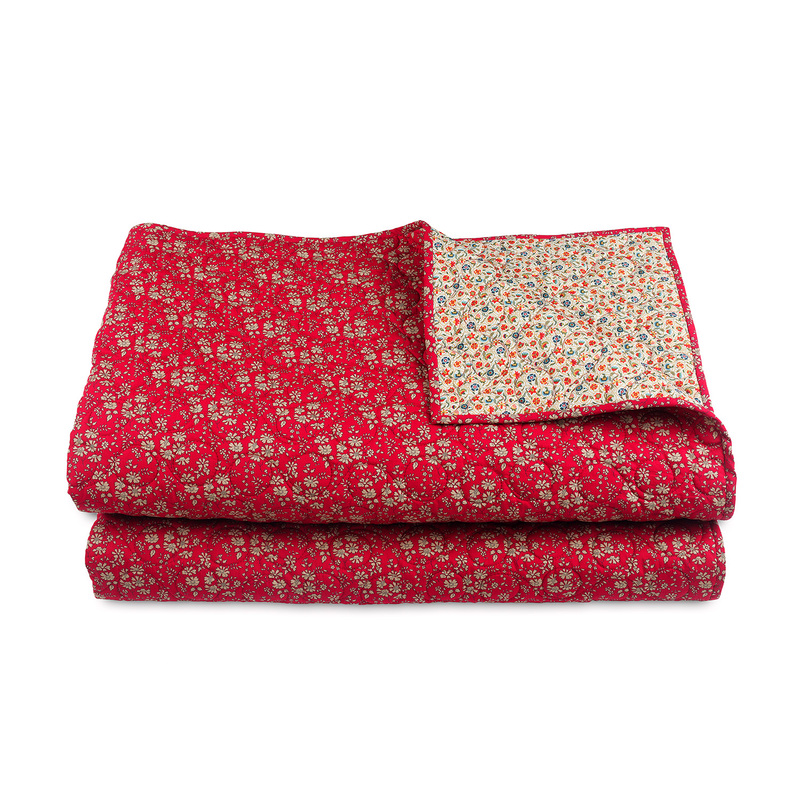 HOME TEXTILES WITH LIBERTY FABRICS! 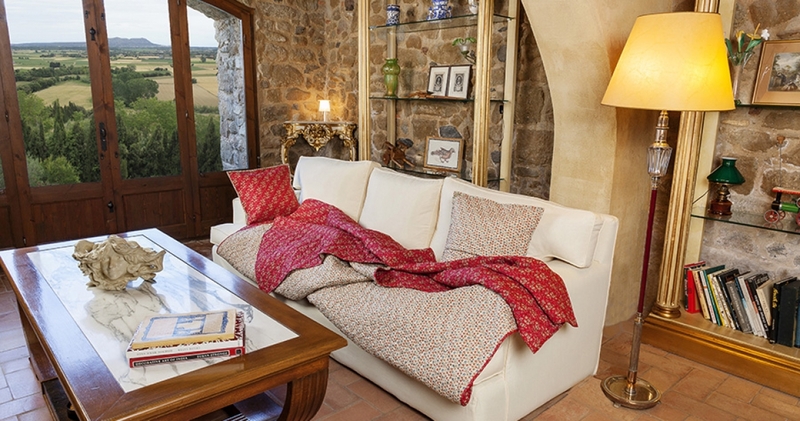 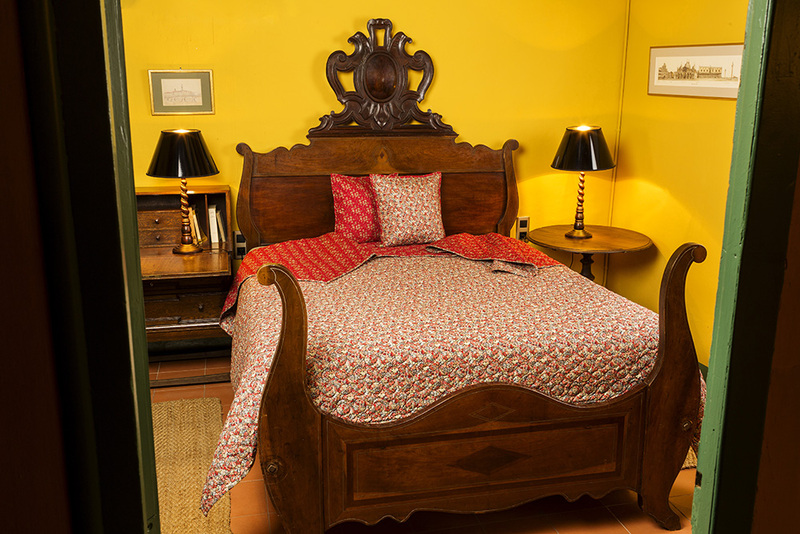 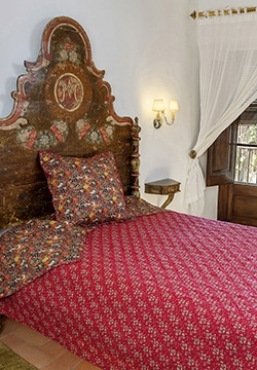 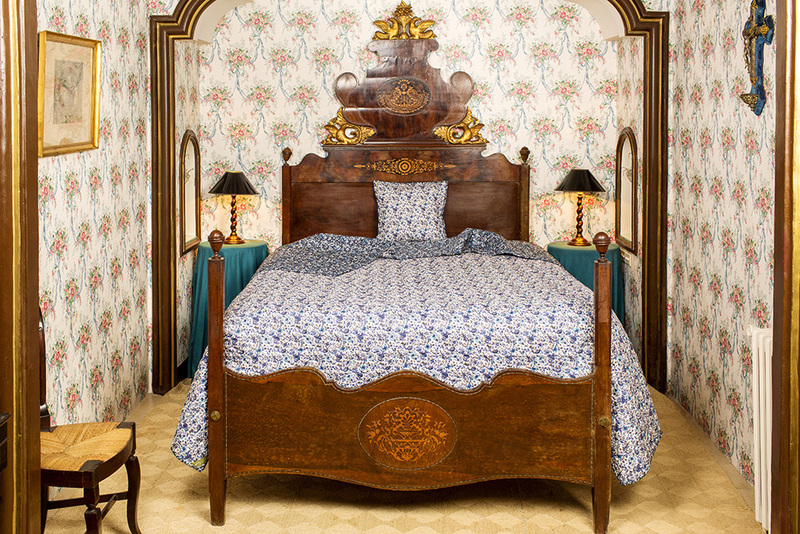 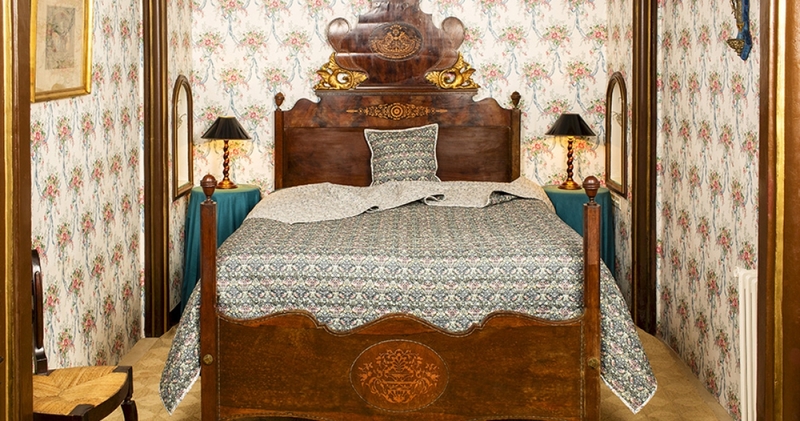 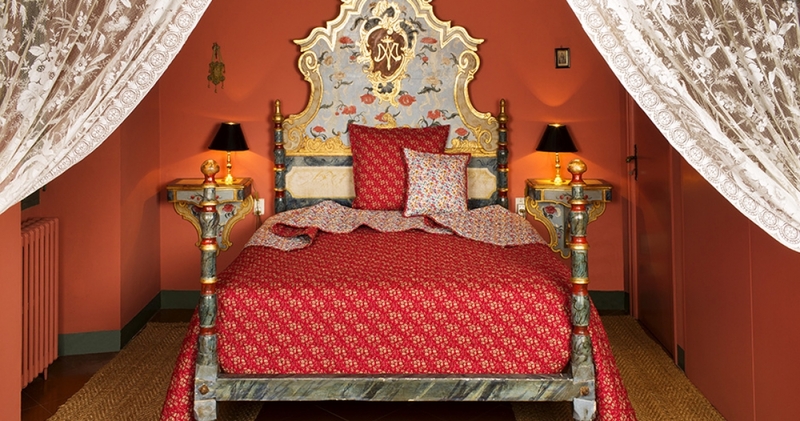 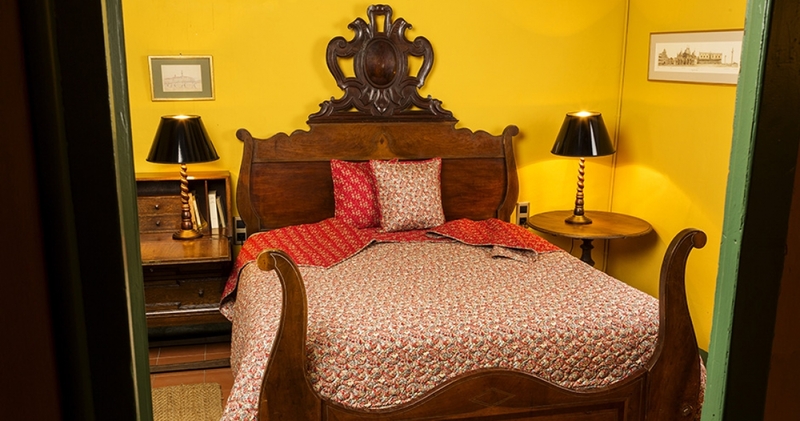 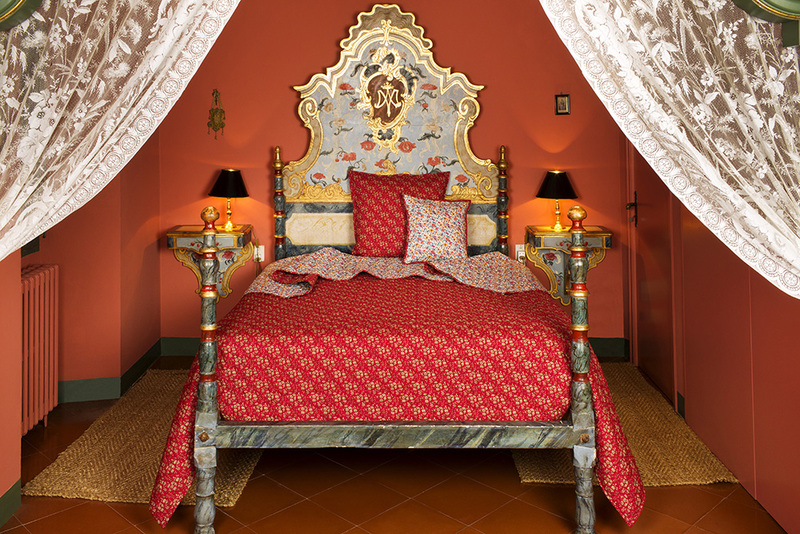 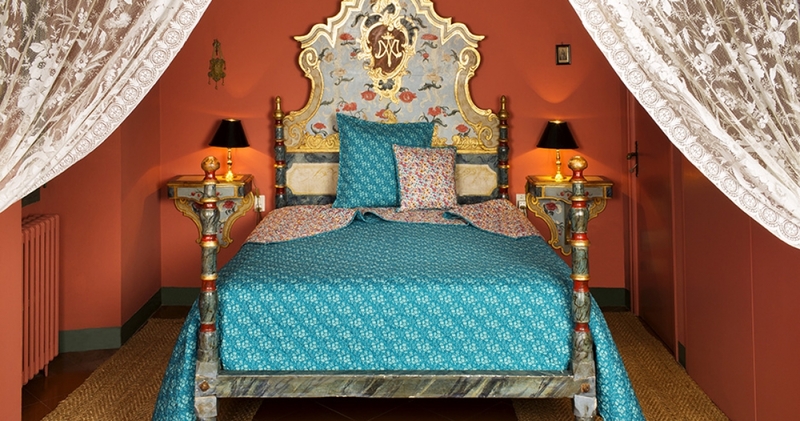 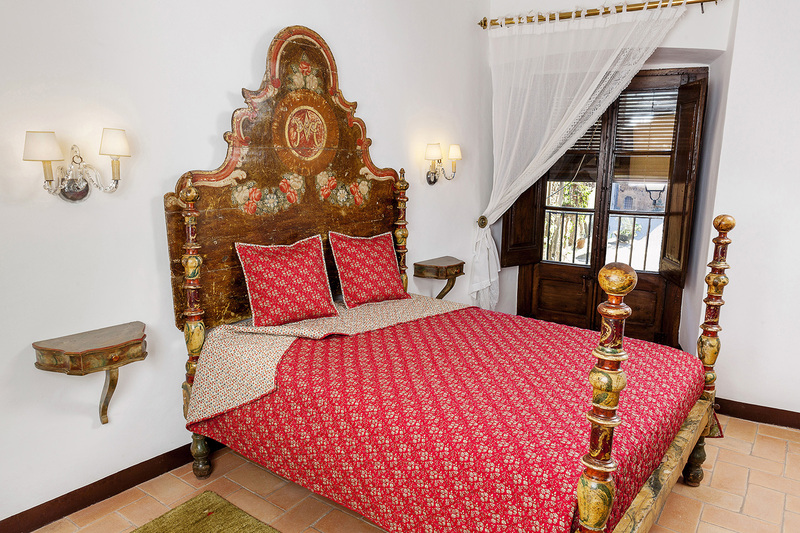 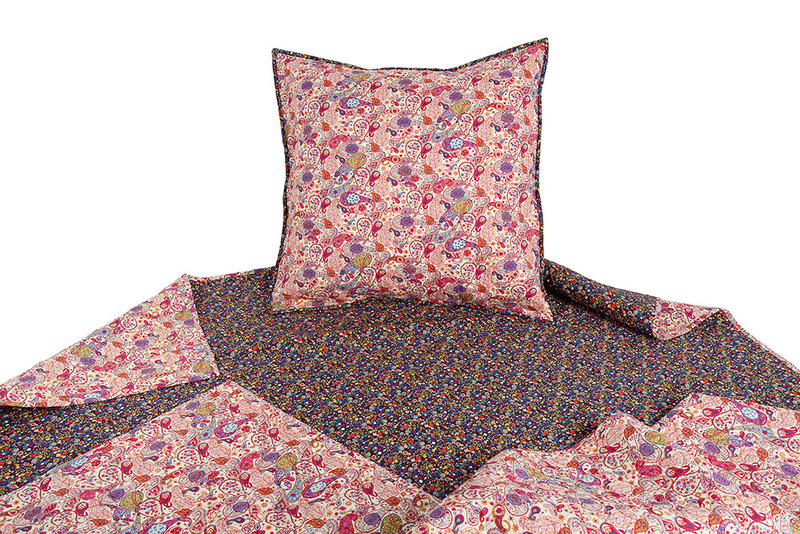 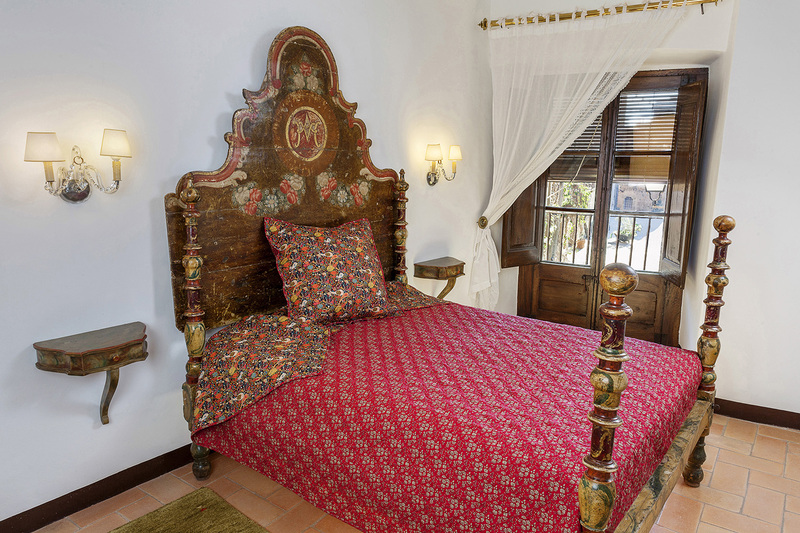 Our bedspreads are made in Catalonia, Spain, and are individually designed and sewn with the utmost care. 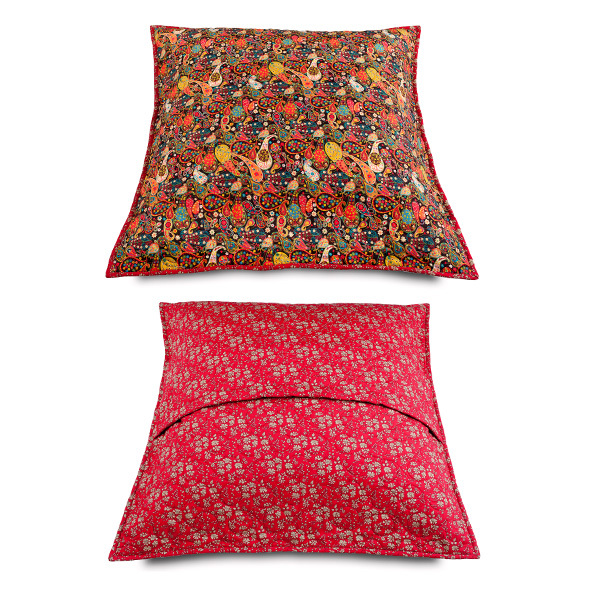 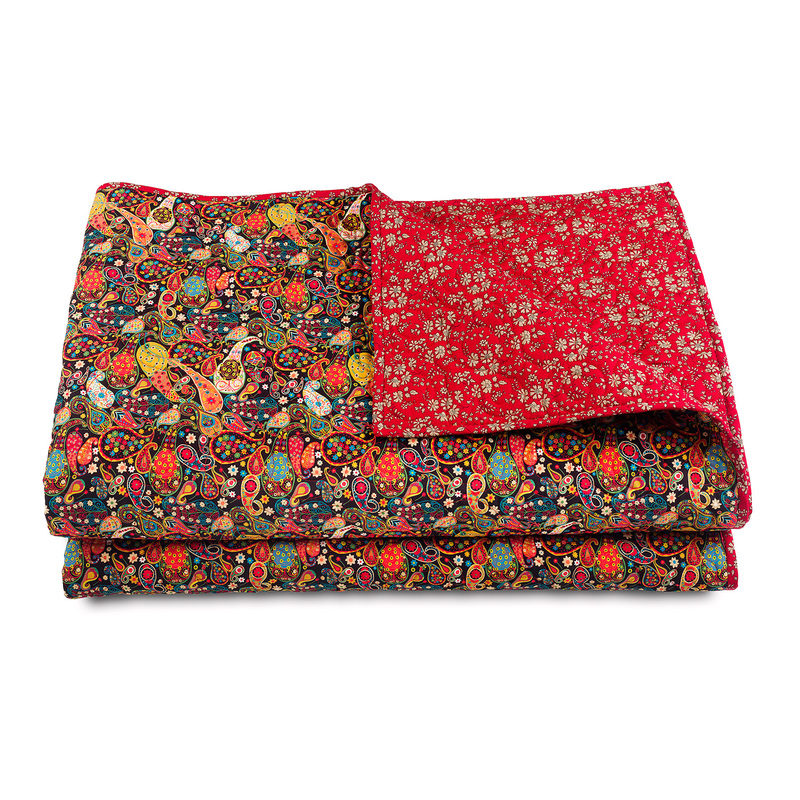 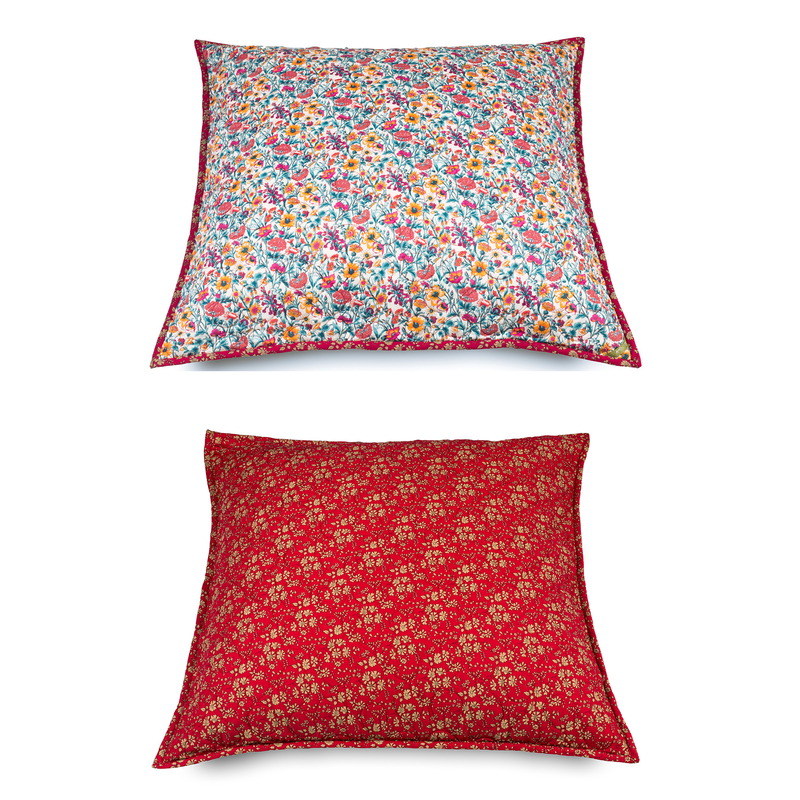 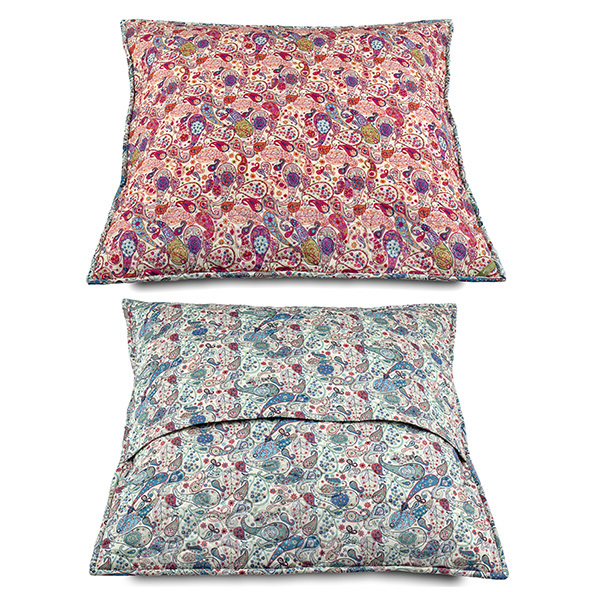 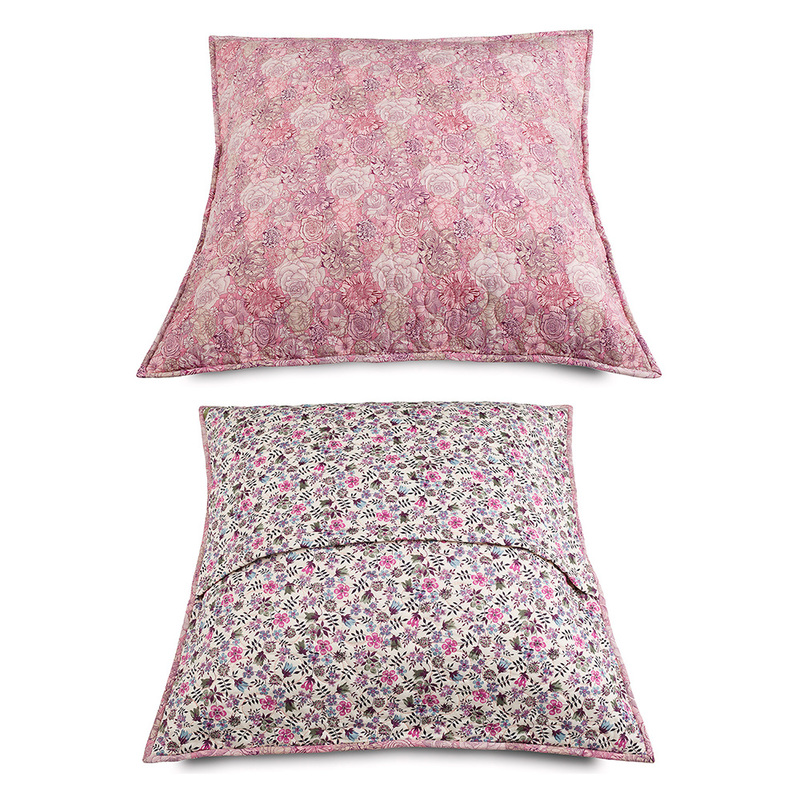 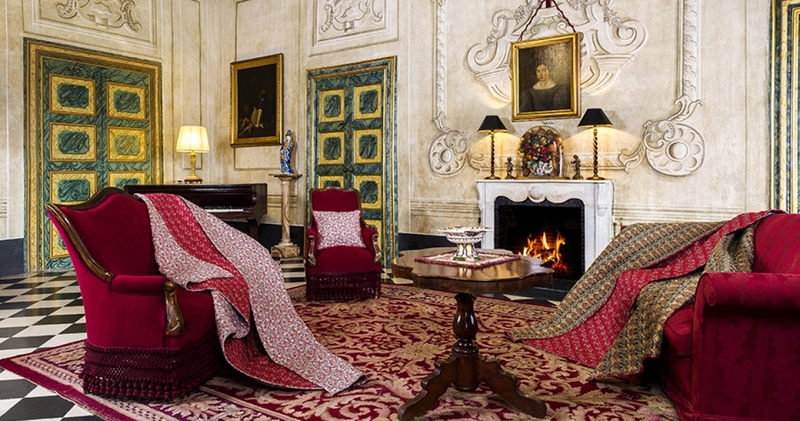 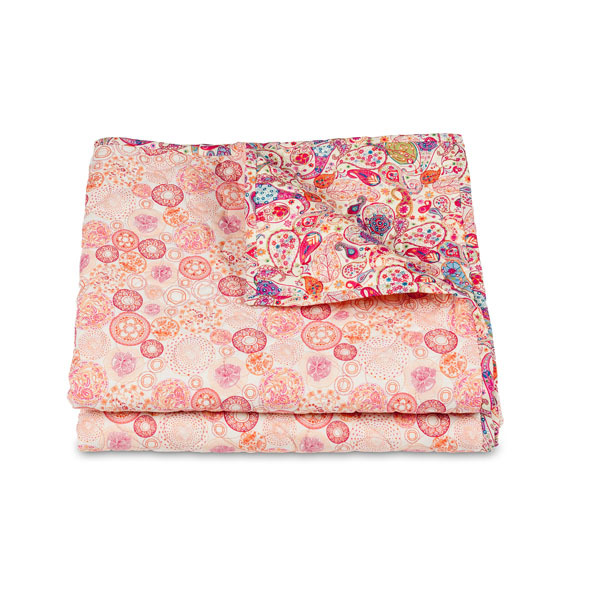 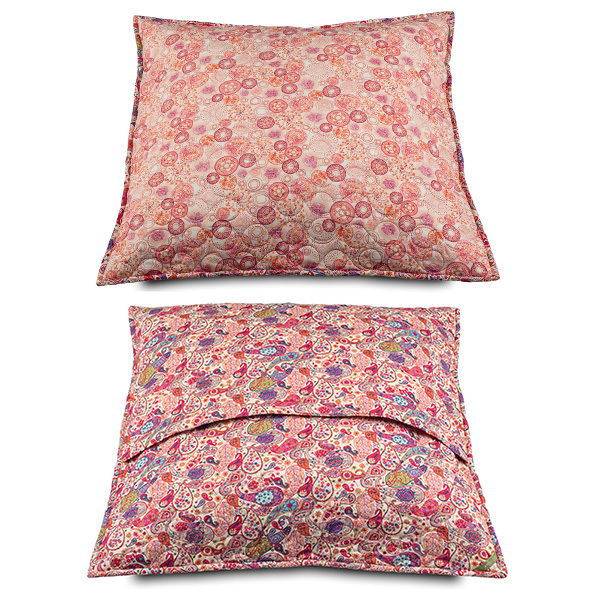 They are made exclusively out of fabric from Liberty of London. 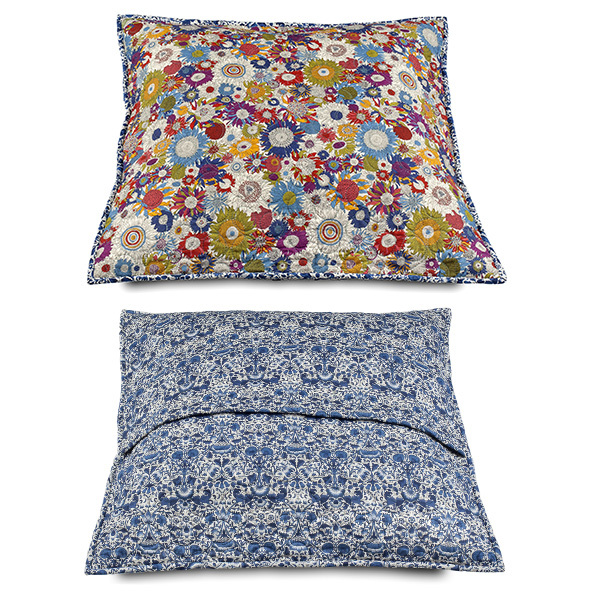 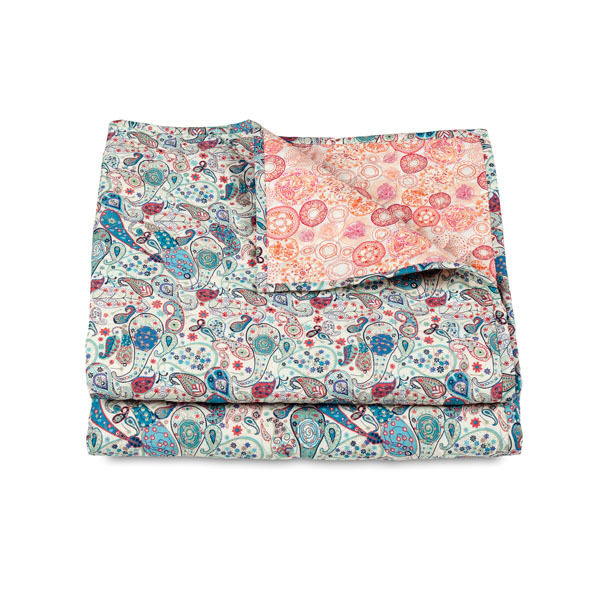 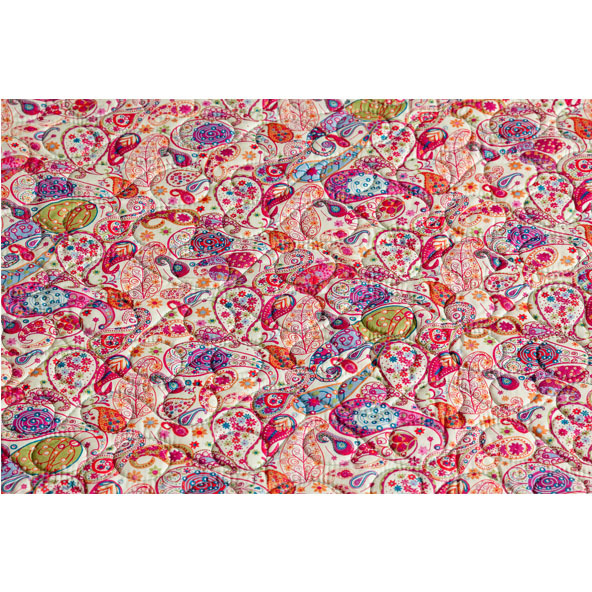 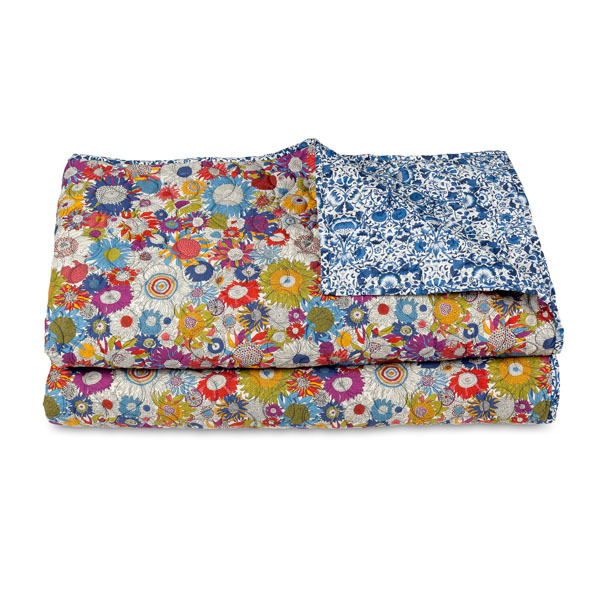 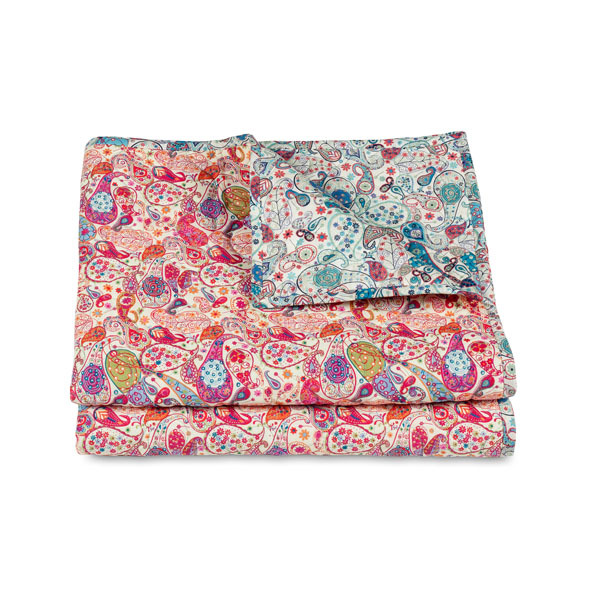 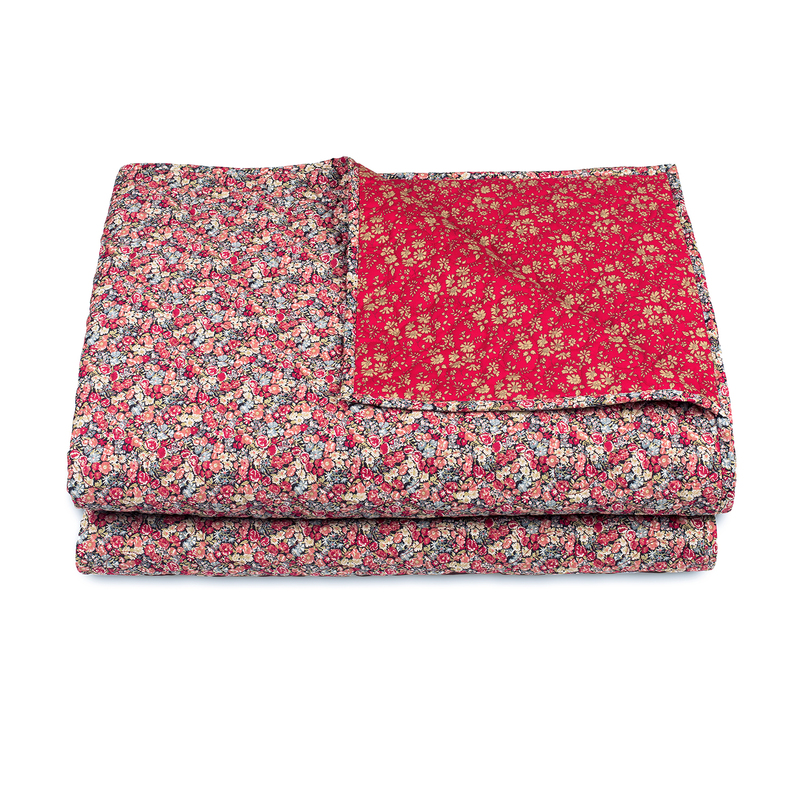 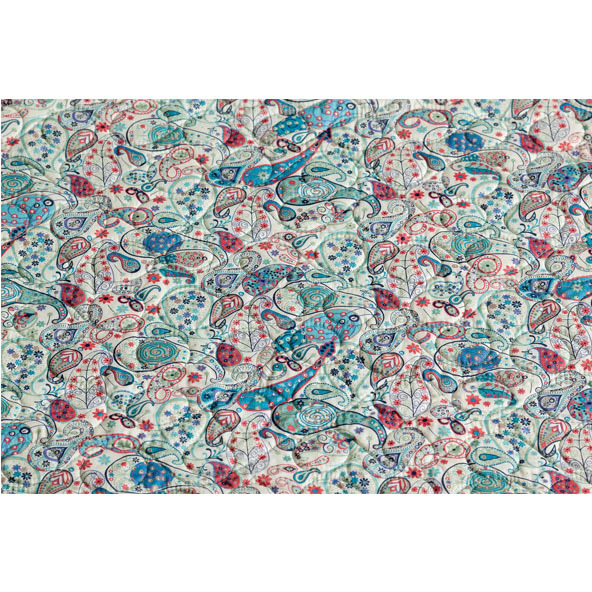 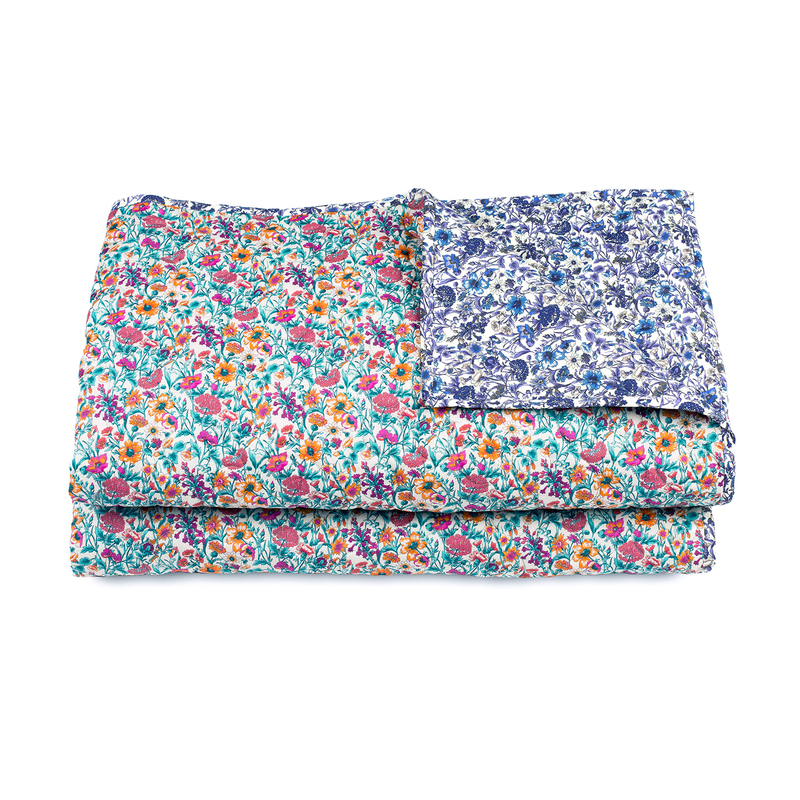 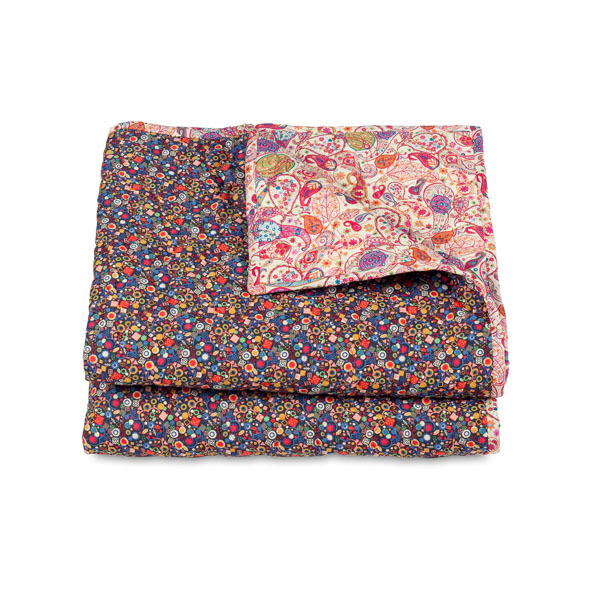 We take a length and more of Liberty fabric and follow the exact pattern to produce any width and size of reversible bedspread. 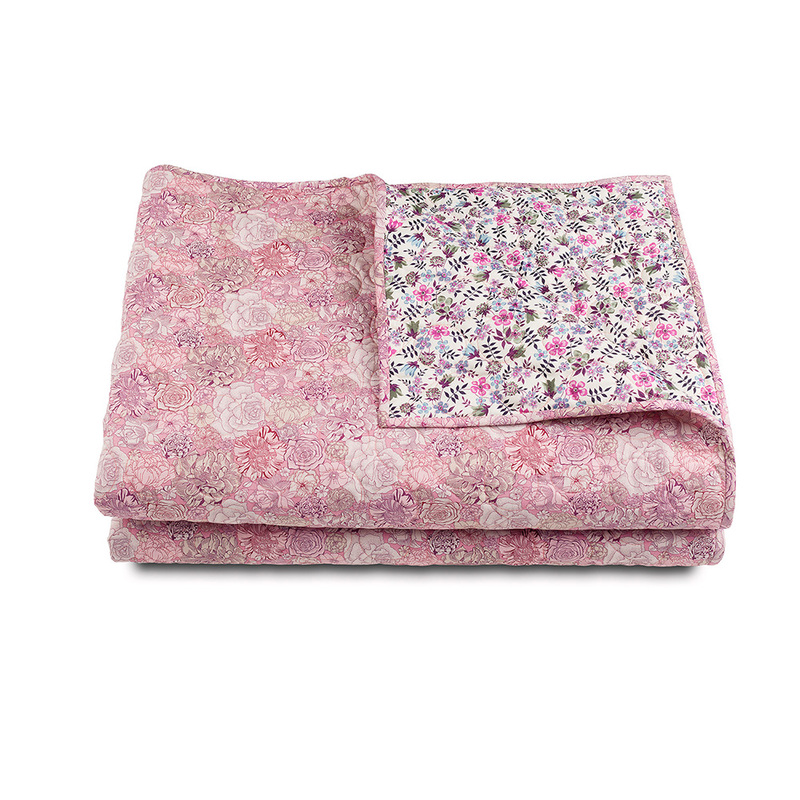 The high-quality stitching is the hallmark of a superb reliable product. 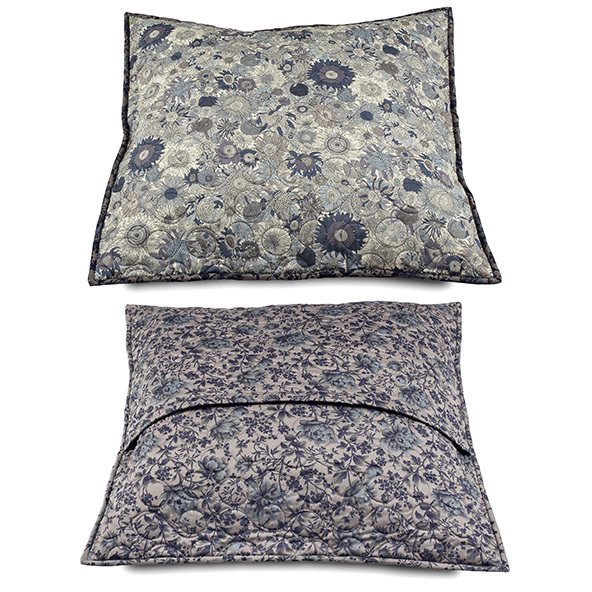 The edging on all our bedspreads and cushions is finished by hand to give them a distinctive finish. 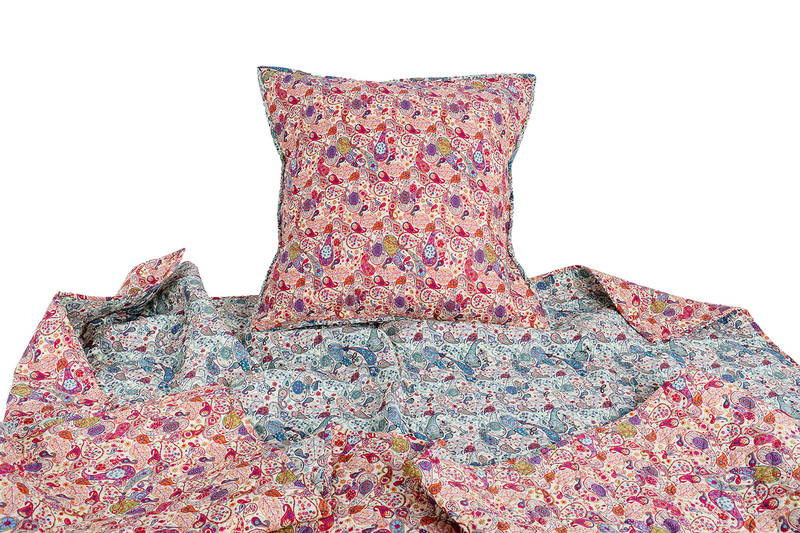 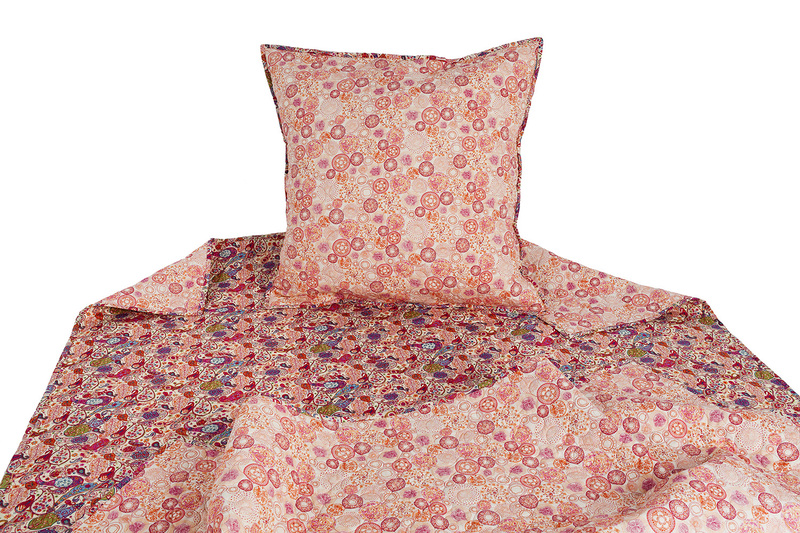 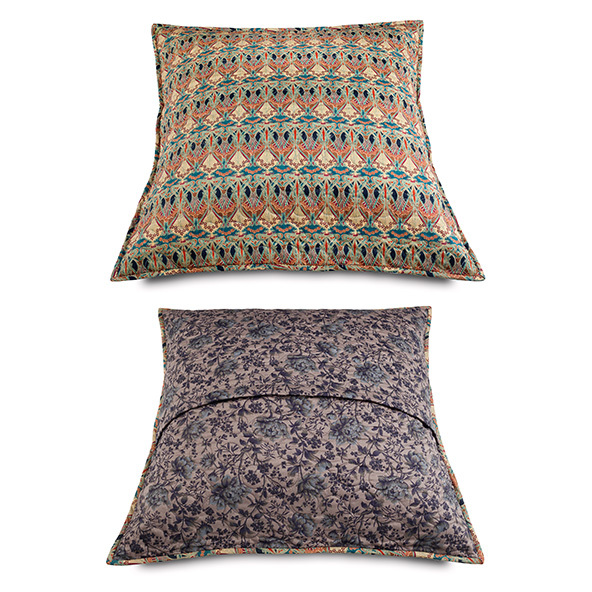 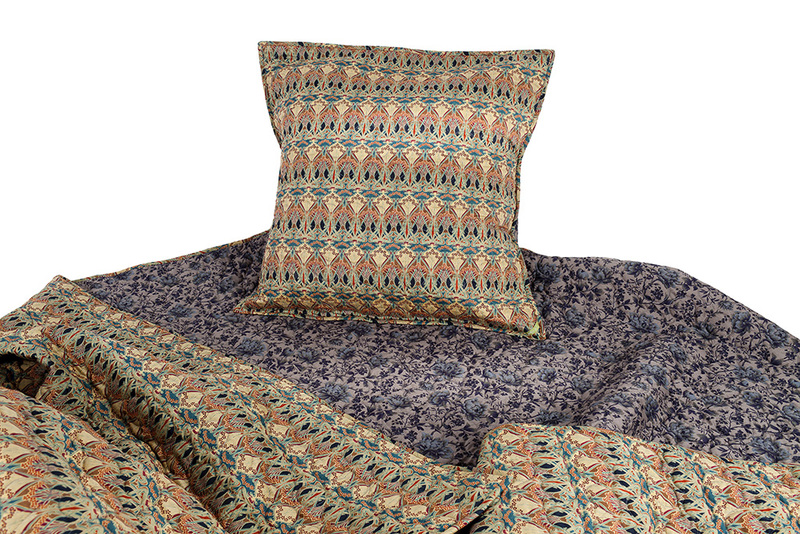 Our fully reversible bedspreads are just as beautiful on both sides, making them twice as irresistible. 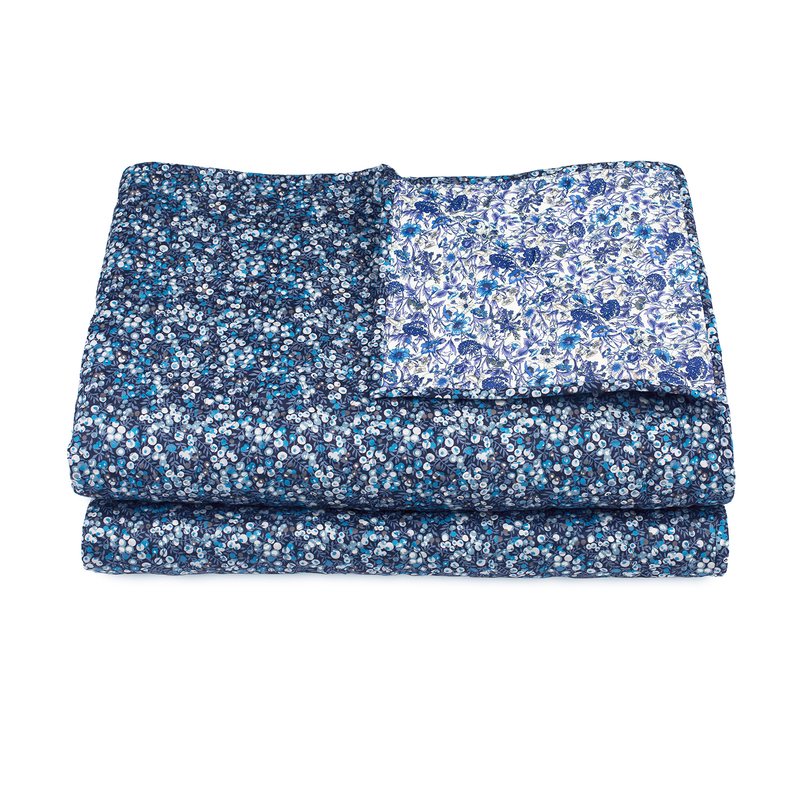 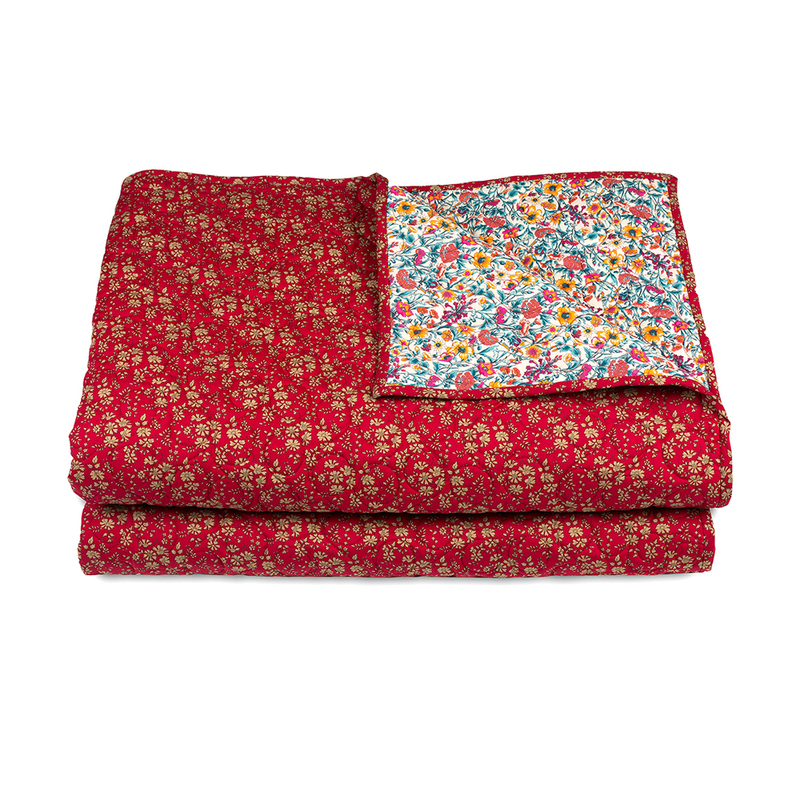 The 100% cotton fabric and the woollen filling give our refined products a lovely soft feel. 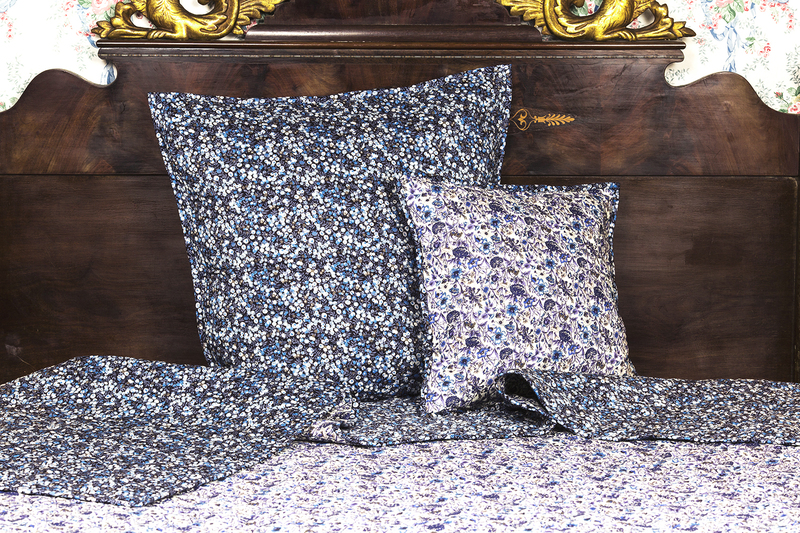 Thanks to our high-quality materials, meticulous creative process and small-scale production, our exclusive bedspreads and cushions are products you can rely on time and time again. 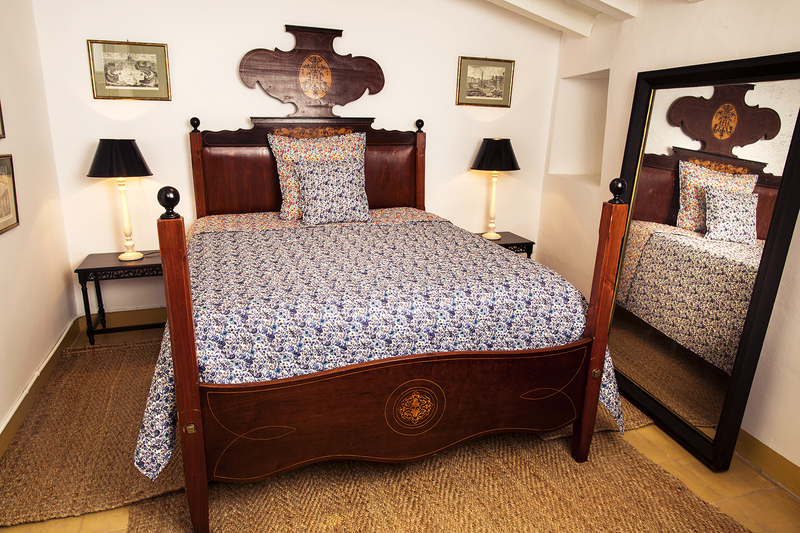 We will be delighted to send them to you wherever you are. 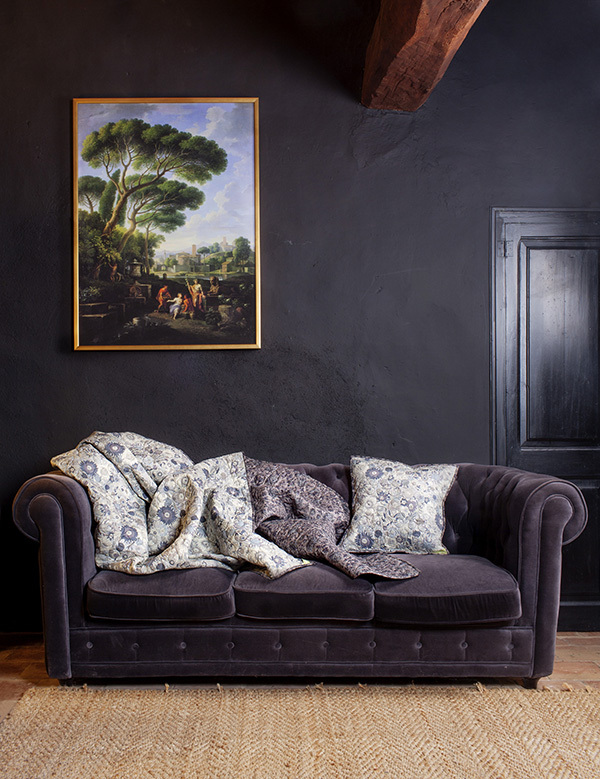 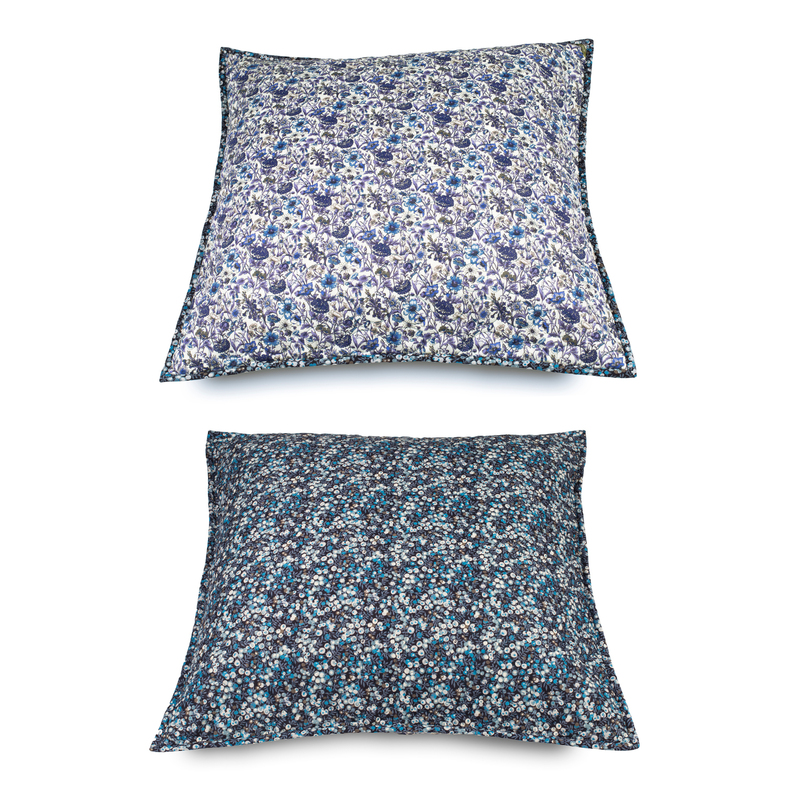 They will look simply stunning on your bed or sofa and add a stylish touch to your elegant surroundings. 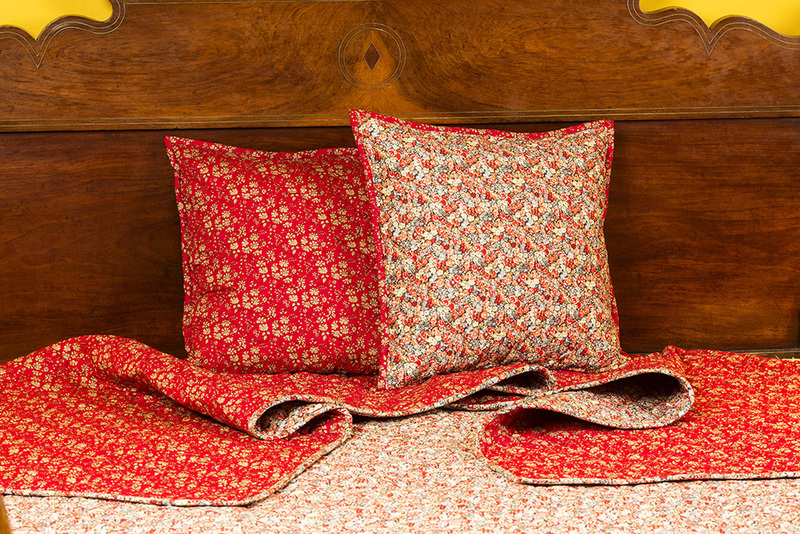 An ant was born with the goal of introducing into the world of home textiles an original, unique, elegant and quality product with printed fabrics rich in colors and designs. 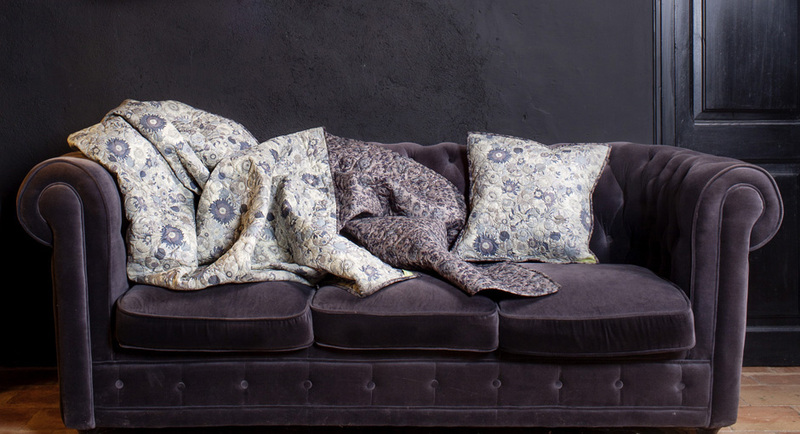 We introduce color into each of our designs with great care, selecting the printed fabrics that most attract us and valuing how the colors interrelate. 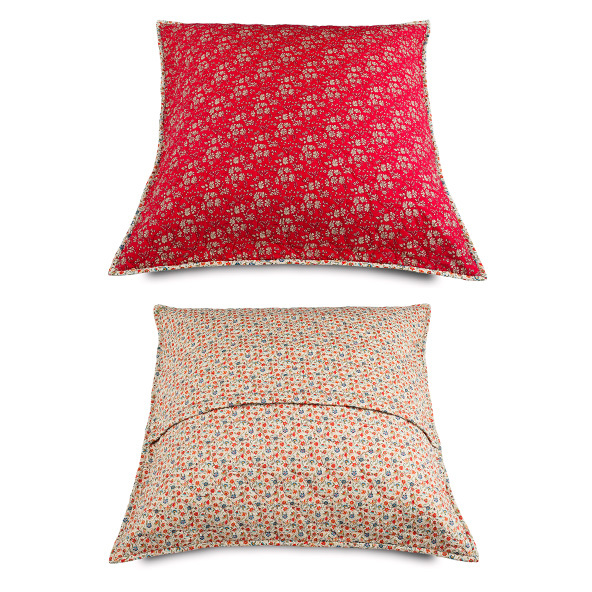 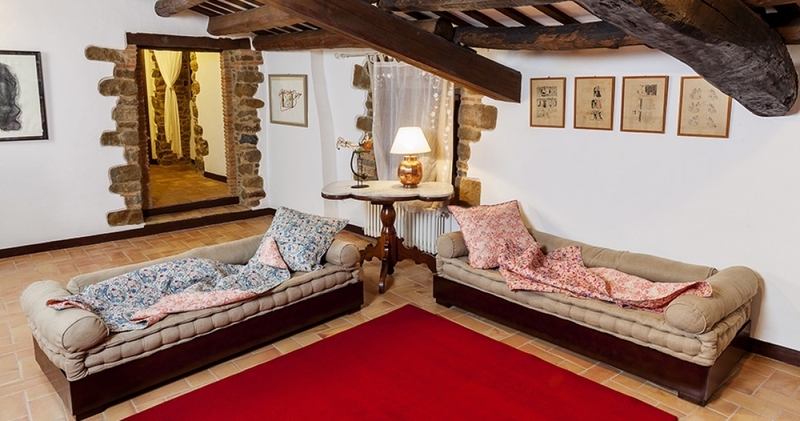 With An ant we want to fill houses with prints and colors, with original fabrics for the home. 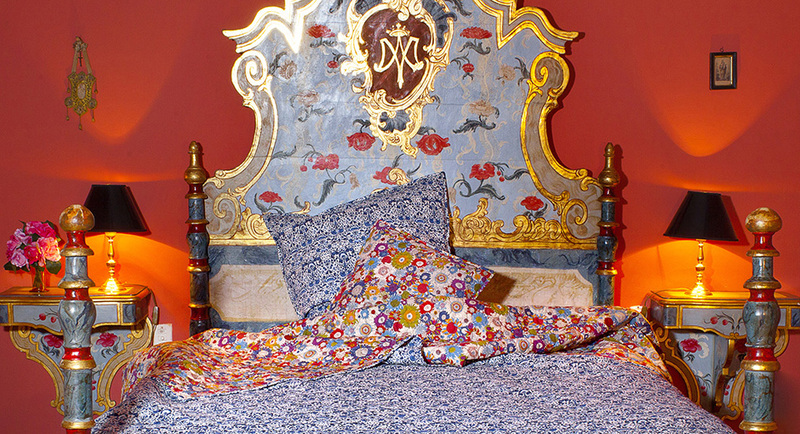 The kitchen, the dining-room, the lounge and the bedrooms of both the parents and little ones – we dress them all in colors.